Side view, note the lovely buttons, and notch. 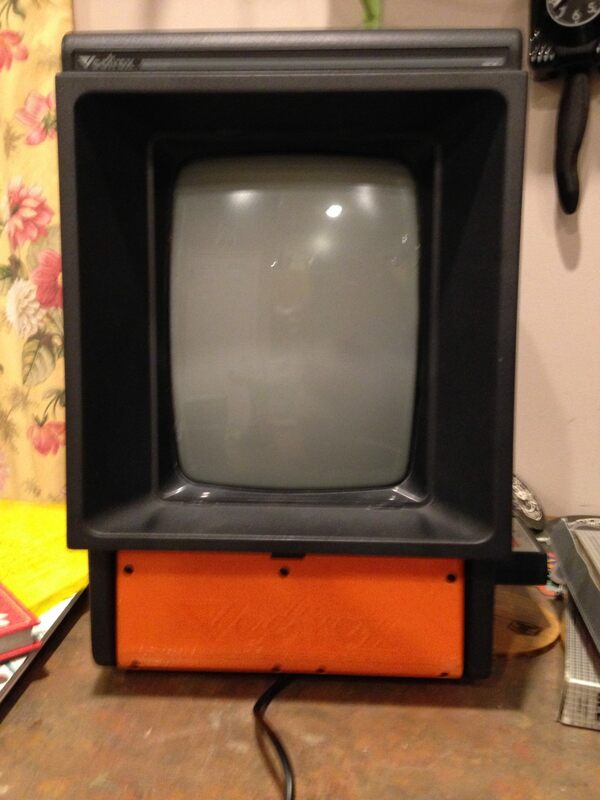 It is so it will fit like the original on the front of the Vectrex. 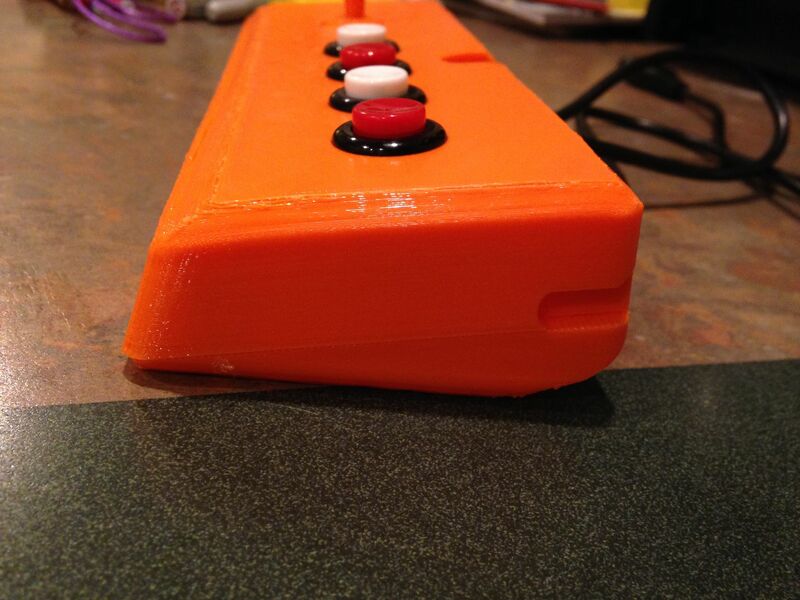 After a lot of time in TinkerCAD, and a few prototypes, I have a great replacement/second controller. 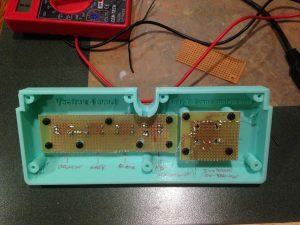 The teal version is an early prototype. I tried small, cheap, tactile buttons. While I did like the feel of them, they were too “clicky” and small. I decided to go with much nicer Sanwa buttons. They are one of the best Japanese arcade button makers and they have the right size and feel with there nice microswitches. They do cost more, but are worth it. I managed to get a decent feeling Joystick as well, it is not perfect, but it is 98% as good as the original in good shape, and way better then other worn out ones I have tried. I am pondering how to stiffen it up a bit more, but as it is, it is great. 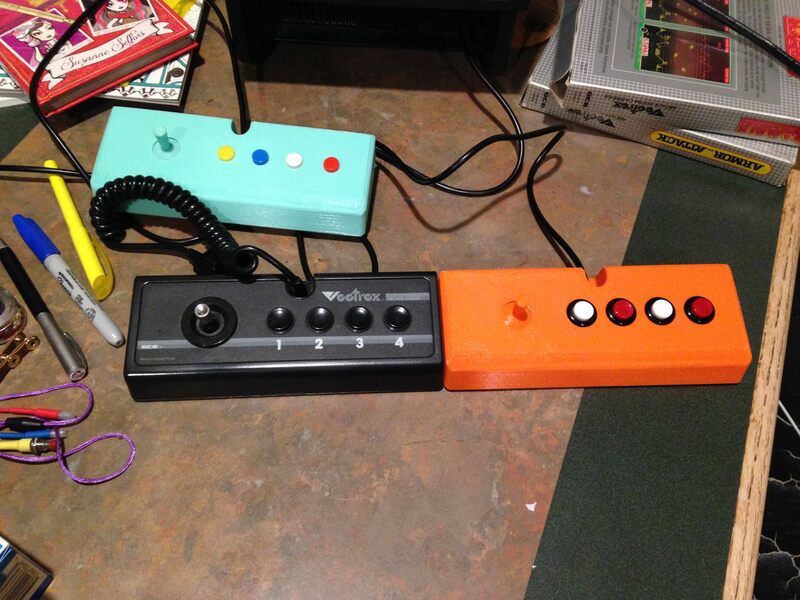 Finding a plug that looked nice and fit was tricky, but I ended up getting Sega extension cables and modifying them. 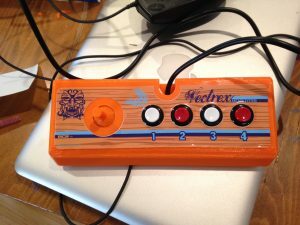 Early teal version with “clicky” buttons, original Vectrex controller in black, and the latest in orange with Sanwa buttons. Sorry for the blurry picture… You can see it mounts up just like the original. 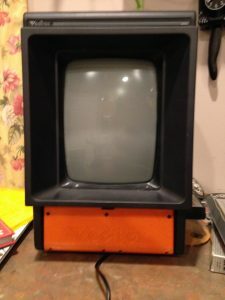 Also note the Vectrex logo text on it. I printed them out on my 3D printer with PLA plastic. I made a number of strength design improvements, so it should be VERY sturdy and kid friendly. 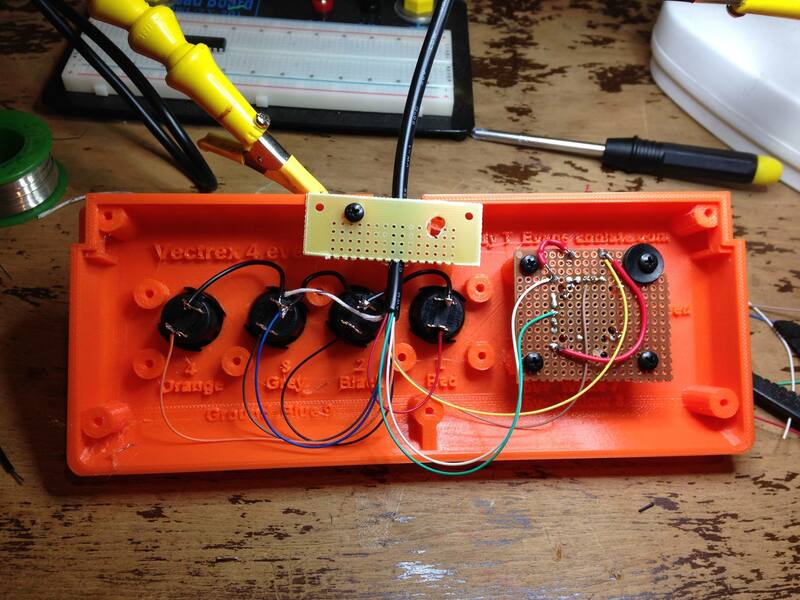 I also added some goodies on the inside, like wiring diagrams, pin outs, and a logo! It is also held together with a number of screws, so no squeaky or loose feel, and easy access to make changes. I decided to put the screws on the bottom too, so any sticker overlays do not have to come off to work on it. Inside top of controller. Note the labels and the screw mounts incase you want to switch to PCB mounted switches. Early prototype again to show PCB mounted buttons. Over all I would say it came out great, and Zoe and I have been playing with it quite a bit. I expect it to hold up a very very long time. We both prefer it most of the time when playing now over the original, which is nice to know when playing a head to head game there is no handicap. Knowing how many people LOVE the system, and need controllers or don’t want put lots of hours on there mint collectable one, I think I will be selling them. If you are interested send me an email. With parts, and time they will be $100 fully assembled with the upgraded buttons. I have now added a LED inside under the joystick and printed the joystick in clear resin. 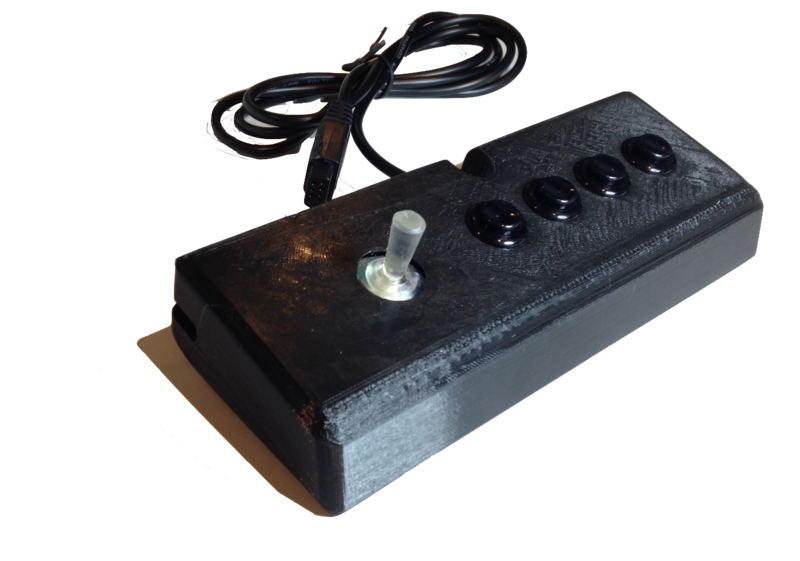 Here it is all in black, with black buttons. Update2: I have been asked to include the original wiring diagram. Here it is (click for a larger view)! 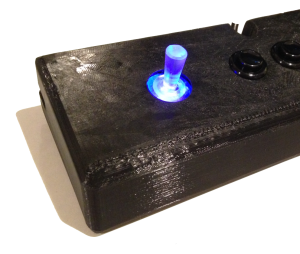 This entry was posted in 3-d printing, Vectrex and tagged 3d printer, aftermarket vectrex controller, controller, tinkercad, vector gaming, Vectrex. Bookmark the permalink. 3 Responses to Vectrex Controllers! Gnah, take my money! 😀 Email is on its way! Exactly what I was hoping someone would do. How can I get one and will you be using black plastic also? 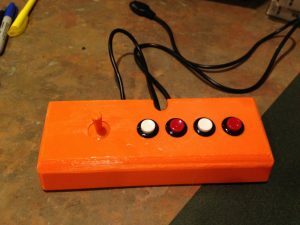 Hello, I can do it in black as well, email me know your address, and what color buttons you would like(Red, white, or black) and I can send you a total with shipping. Then I can send one your way!